Today, strict regulations apply to bathroom lighting related to electricity and lighting. In the bathroom, there are indeed many sources of water. Water and electricity are two things that do not go well together and that can be dangerous or fatal. Indeed, there are too many accidents that happened because a water source was placed too close to a power socket which caused a short circuit. The rules are strict and that is why it is required to install an RCD (loss power switch) of 30 mA (milliamps) in your bathroom. Where the rule of the house is 300 mA, it is for the bathroom much stricter. a) Zone 1: This is the dark blue area in the tub or shower to a height of 225 cm. In this zone, it is not advisable to place lighting unless in the ceiling and at a height above 225 cm. Below this area it is required to have a water fixture (minimum IP 45 or IP 65 (protected against water jets)). 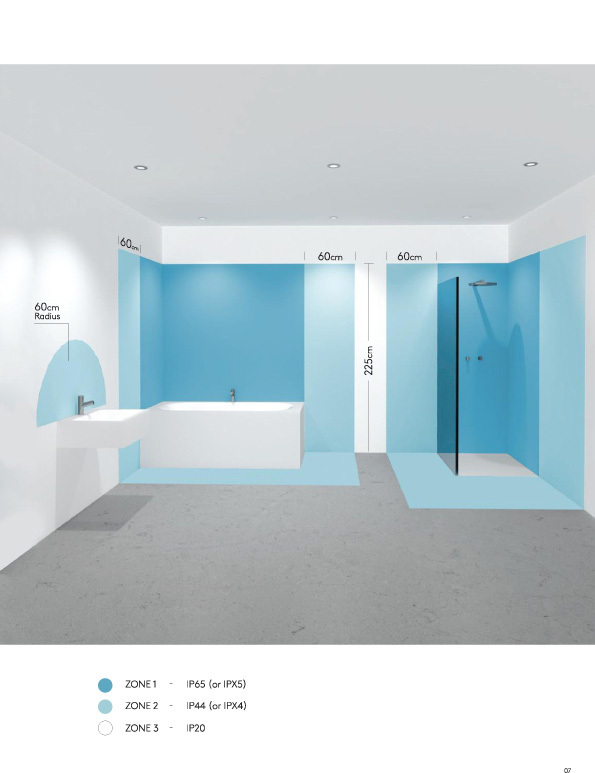 b) Zone 2: This is the light blue area that starts at the border of the tub, sink, bidet and shower and up to a distance of 60cm. Within this dimension, bathroom lighting must be waterproof (minimum IP 44 or IP X4 (protected against splashing of water). c) Zone 3: This is the white zone. This zone starts at the border of the light blue area. There are no special requirements (In Ireland, though) in connection with waterproofing. These regulations apply to domestic use, according to the "IEE wiring regulations," a regulation dating from 2008. The point is this : as soon as there is the least exposure to water, IP 45 or IP 65 is a minimum requirement, over 225 cm or when the distance is more than 60 cm from the dark blue zone, there is no longer necessary requirement. 2) Which bathoom fixture should I choose? a) Wall light : A wall light is often mounted on the wall. 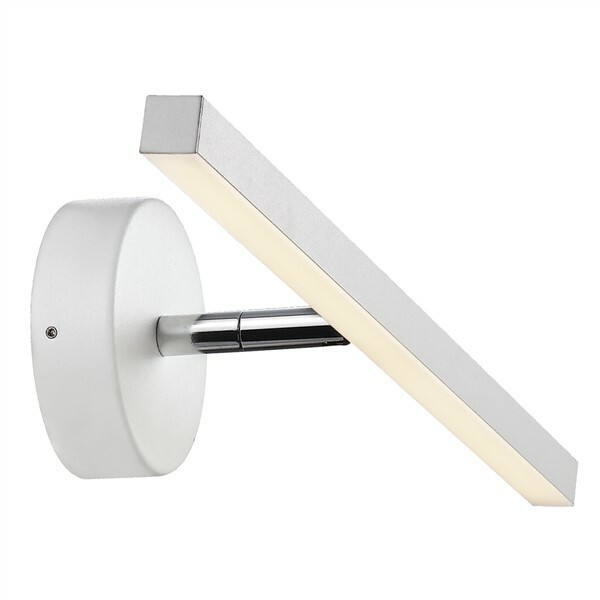 In the bathroom, there are wall lamps which are mounted above or beside the mirror or the pharmacy cabinet. 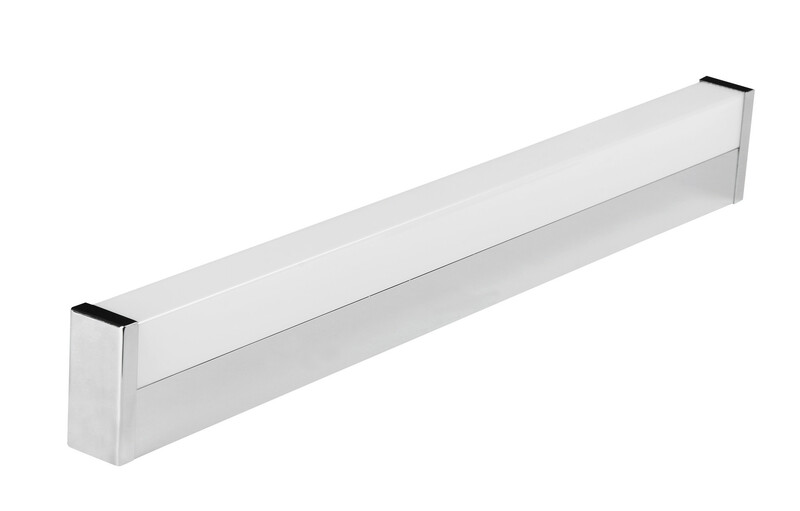 Often, these are narrow elongated wall lights which mainly provide diffuse or indirect light. A lamp wall in the form of picture lighting, where a light source with an arm shines at a distance of +/- 20 cm of the mirror or downward is also used a lot. Nowadays, wall lights with lamp shades are often used as bathroom lights. The shade is usually made in plexiglass or glass and is often white or translucent. b) Ceiling light: A ceiling light is almost used in every bathroom. The advantage of a ceiling lamp is that it’s never an obstacle in a person’s way. It is always attached to the ceiling and will never hang low. Often, one uses round or square ceiling lights as bathroom lighting but there are more fashionable trends where the forms may be extravagant. In a bathroom with an average size of 12 m2, it is advisable not to experiment too much. A ceiling lamp has mainly the intention to emit indirect light. Therefore, she is often equipped with a frosted glass lampshade in which you can install LED bulbs. In this way, you obtain a beautiful diffused light that is highly recommended. Using spotlights, however, can sometimes be dazzling and is not recommended. c) Downlights: Downlights are often used as bathroom lights. Nothing is easier! It makes one whole with the ceiling and is now available in many varieties. 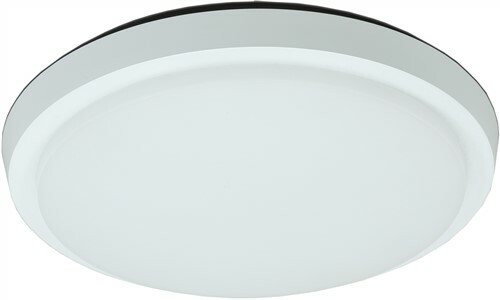 Downlights with a degree of IP 45 or IP 65 are often placed above the shower or the bath. You can opt for recessed downlights with separate spots or you can choose recessed downlights with integrated LED modules. Nowadays, there are also kinds without driver. It is often recommended to work with fixtures on 12 V or 24 V but it could equally well be often be on 220V. Recessed lighting is also often integrated in the bathroom cabinet. d) Pendant lights are almost never used in a bathroom. Unless you have a large bathroom of 25 or 30m2, it is not advisable as they reduce the mobility. e) Mood lighting: Besides all other lighting, LED lighting enabled to work with mood lighting for bathroom lighting. 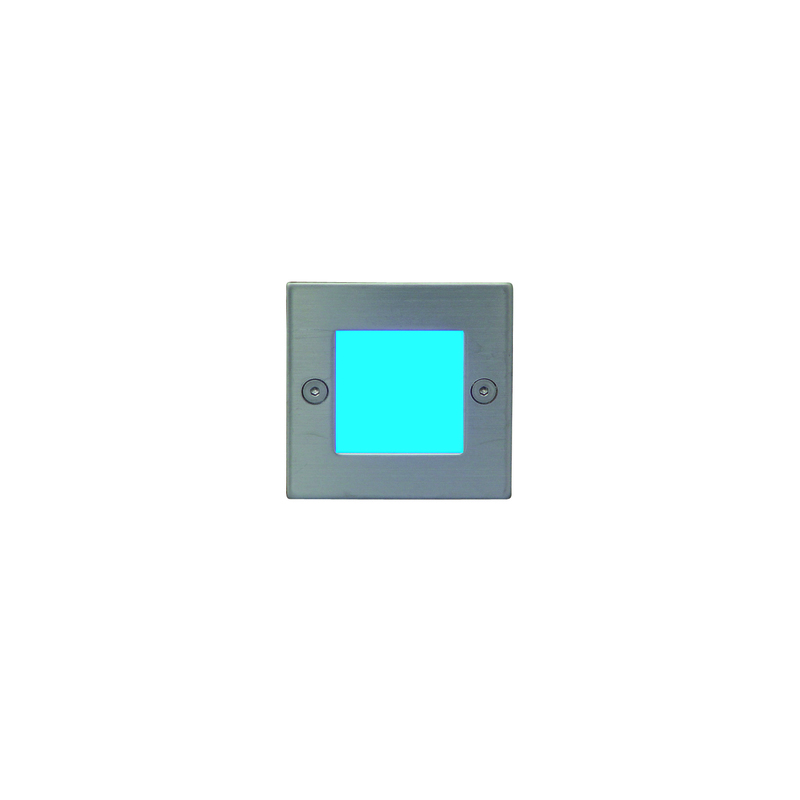 For example, a recessed wall light with blue color can also be very beautiful in a shower. LED strips in RGB (where the colours change or where you can set your preferred light color) is now also widely used. Please note that the lighting meets the requirements relating to water resistance. 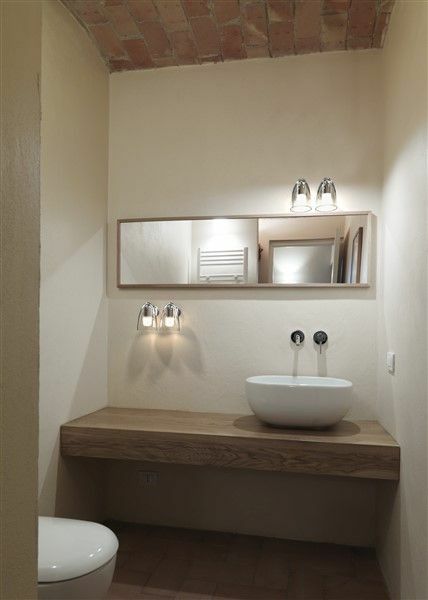 In bathroom lighting you should always make a distinction between direct and indirect lighting. 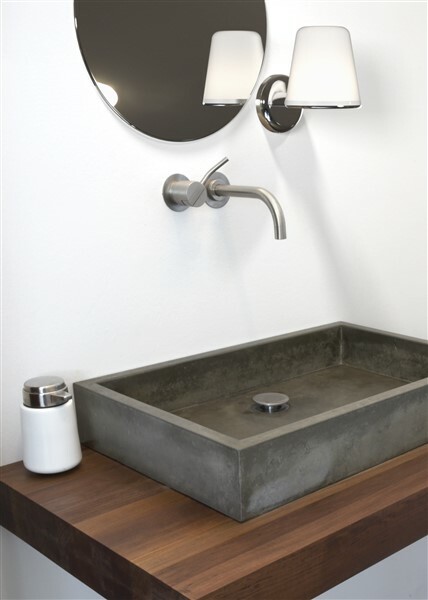 Indirect lighting creates an ambient lighting while direct lighting can provide additional light in the places where you need it, for example at the mirror. Generally, it is recommended that you use a total light intensity of 200 lux. Usually a power of 4 to 6W / m2 is enough to have a proper bathroom lighting. On the places you need extra light, you should be careful not to place too heavy lighting because this can have a blinding effect. 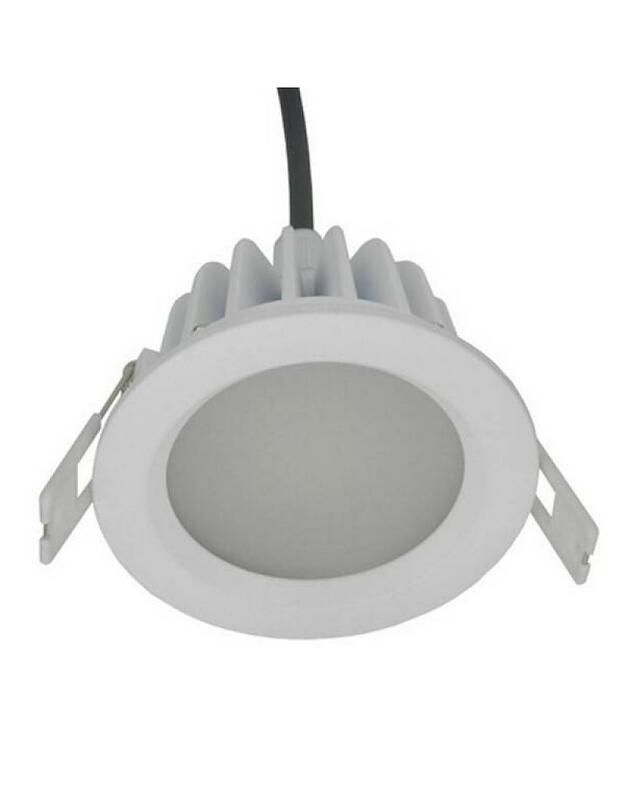 Often a wall lamp next to the mirror should provide up to a maximum of 15 W LED. Always ensure that when you place bathroom lighting, you first cut the power. Look at our bathroom lighting.